This moist cake has that unique baked honey flavor, which is a combination of sweet and acidic. Beat the three wet ingredients and add it to the dry. Bake for about 45 minutes or until toothpick comes out clean. • Add half an egg to the crumbly mixture. It should now hold together. If it doesn't, add 1 Tablespoon water. • Gather the dough and place it in your pie pan. • Bake empty crust for 15 minutes at 350º. • Remove from oven and cool. • Melt semi-sweet chocolate in microwave or double boiler. Stir until all particles are melted. • Fold the ingredients together until combined and spoon into the baked pie crust. PreHeat the oven to 425º. Bake at 425º for 15 minutes then bake at 350º for 30 minutes more. • Add egg to crumbly mixture. It should now hold together. If it doesn't, add 1 Tablespoon water. • Gather a bit more than half the dough mixture and place it in your pie pan. • Pierce bottom of crust with a fork, making several air holes. • Between two pieces of waxed paper, roll out remaining dough in a circle, about one inch larger in diameter than the top rim of the pie pan. Set aside. 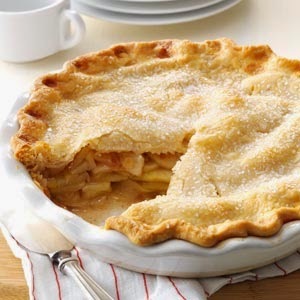 • Carefully peel one sheet of waxed paper off of the top crust and gently flip the exposed side onto the Apple Pie Filling. • Pinch the top and bottom crusts together and place on the bottom rack of the oven. Bake at 425º for 15 minutes. Then turn the heat down to 350º and bake for 30 to 35 minutes more. The flavor and texture of this sweet pumpkin bread is out-of-this-world. • Combine them both and beat for 5 minutes. *If you want to double the recipe, use two loaf pans or a 9 x 9" square pan. Don't use one large loaf pan (a 5" x 9") because it will take a very long time for the dough to cook in the center. The benefits of a yeast bread is that it produces a beautifully brown crunchy crust. When yeast is an issue, however, there are alternatives to getting the bread to rise nicely and our favorite is using equal parts of baking soda and lemon juice. For this bread, add 2 teaspoons of fresh baking soda to the dry ingredients and 2 teaspoons of freshly squeezed lemon juice to the bread dough at the last minute, after the dough is mixed. Put the dough in a medium sized loaf pan (8.5" x 4.5") and bake at 350º right away. Do not let it rise before baking the bread like you would with yeast. The rising happens because of a chemical reaction that occurs between the baking soda, which is alkaline (a base) and and the juice of a lemon, which is acidic. This yeast alternative doesn't produce a crust, but it is delicious and can be used as a sandwich bread none the less. 1/2 cup sun dried tomatoes, etc to the bread dough after it is mixed. 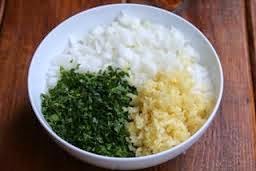 Because the balance of wet to dry ingredients in the bread mix is important to maintain, it is not advisable to add foods that would upset this balance. For instance, it is not a good idea to add mashed banana, or any fresh fruit to the dough. To make sandwich buns, use an old fashioned ice cream scoop and pile a couple of scoops of dough on top of each other. on a greased cookie sheet. A 13 oz package of Buckwheat Bread Mix makes 26 oz of raw dough and approximately 8 sandwich buns. We chose to make Arnel's Originals Buckwheat Bread with roasted sunflower seeds, raw sesame seeds, and roasted pumpkin seeds but you can use any seeds and/or nuts with delightful results. Nuts and seeds add protein, crunch, and fiber to your loaf of buckwheat bread which is very satisfying when you chew, if you like that texture. It's one of my favorites. When the basic wet and dry ingredients are mixed for 5 minutes, add 1 & 1/2 cups of the nuts and seed of your choice. Put it all in a medium sized loaf pan (8.5" x 4.5") and let rise until double in size, about 30 minutes. Move the dough around until you make a slight hill down the center and sprinkle with more seeds. Bake for the usual 30 minutes at 350º. Cool for an hour before slicing. Take 1 Tablespoon of flax meal and mix it with 3 Tablespoons of boiling water and set it aside. (It's a good idea to cover it while gelatinizing.) In 5 to 10 minutes, it will gelatinize and have the consistency of a slippery egg white. 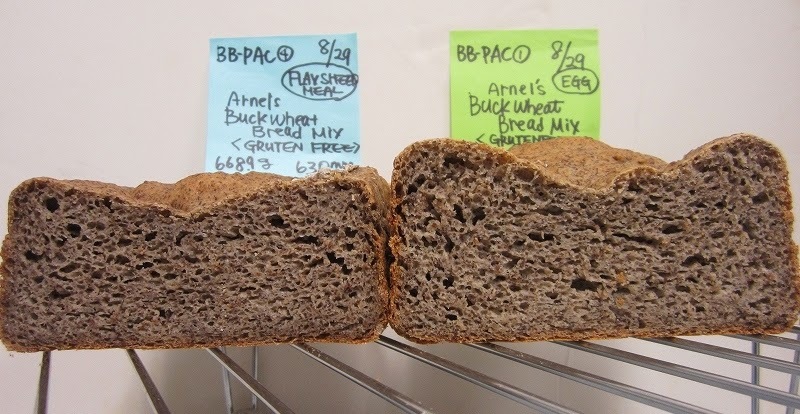 Follow the directions on Arnel's Originals Buckwheat Bread Mix package and when it comes time in the recipe to add an egg, add this flax-gel mixture instead. The loaves of bread will be delicious and moist but when it cools, the eggless loaf will be slightly shorter in height as the loaves with an egg. Below are two loaves made with a very sophisticated bread machine from Japan called Zojirushi, one with an egg (on the right) and one without an egg (on the left). Making Cinnamon Raisin Bread using Arnel's Originals Buckwheat Bread Mix is easy and delicious! Let bread rise in a warm place (110º) until double in size (about 30 minutes) and bake at 350º for 30-33 minutes.